Greetings again from the United States! My wife and I recently returned from a visit to her family in Spain, where everyone is constantly eating gelato. In fact, a recent study found that the average Spaniard is 10% hydrogen, 8% oxygen, and 82% pistachio gelato. Lick a Spanish person’s arm sometime and see for yourself – those people are delicious! In all seriousness, Spain is gorgeous, and I’m thrilled that I was able to trick one of its women into marrying me so that I could periodically visit. Being a freeloading husband is a great way to see the world – or at least one other country. And the people are so friendly. This last visit someone called me a malnacido y despreciable diablo, which I believe translates as “pleasant gentleman who smells vaguely of pickles.” And I do sometimes! But I digress. Spain really is wonderful, and being able to see it with someone who actually knows where she’s going is pretty cool. And in case you made the tragic mistake of marrying someone who grew up near you, allow me to help. This weird career of mine has taken me to most of North America at this point, including plenty of out of the way places. Back in June I wrote an article called “5 Places to Go to Help You Survive the Summer”, and I realize now that I left a few awesome places out. I’m sure you’ve already heard that Yellowstone and San Francisco and Riker’s Island are all amazing, so I’m not going to bother with those. Instead, here are four destinations nobody’s bothered to mention to you. Hope you enjoy! Ever heard of this? Me either, until I had a job in Knoxville and decided to take an out-of-the-way route to my next job in Birmingham. 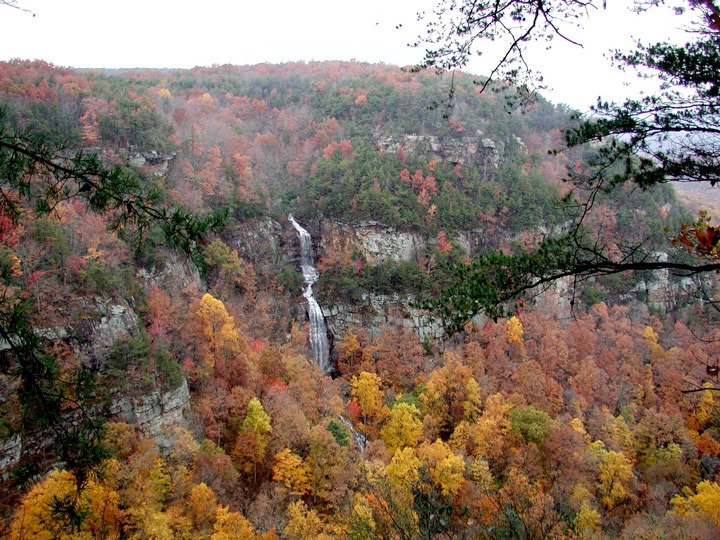 Tucked away in the northeast corner of Georgia, Cloudland Canyon has everything you could want in a state park – plenty of hiking, majestic waterfalls, mermaids, unicorns, and all that other stuff. The proximity to Knoxville makes this an easy day trip, so you don’t have to spend a weekend cooped up in a tent with people who hate camping. And did I mention the mermaids? Site of Custer’s last stand, this is easily the most intriguing park I’ve ever been to. On the surface it looks just like the rest of Montana – rolling grassy hills with the promise of mountains everywhere just over the horizon – but it’s what they’ve done with the place that is so interesting for anyone who likes history. 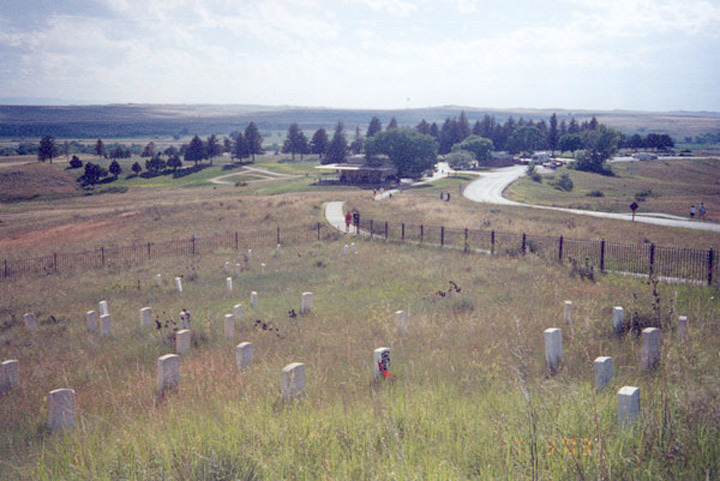 Grave markers have been scattered throughout the park in exactly the locations where the victims of the Battle of Little Bighorn were found – one color for the U.S. soldiers, another for the Native Americans. Because of that, you can actually see how the battle unfolded, and it makes imagining the scene much more vivid than any other historical area I’ve visited. Immediately off of I-70 halfway between Vail and Grand Junction on the western slope of the Rockies, this might be the most beautiful and inexplicable thing I’ve seen – and I’ve been to the Grand Canyon. 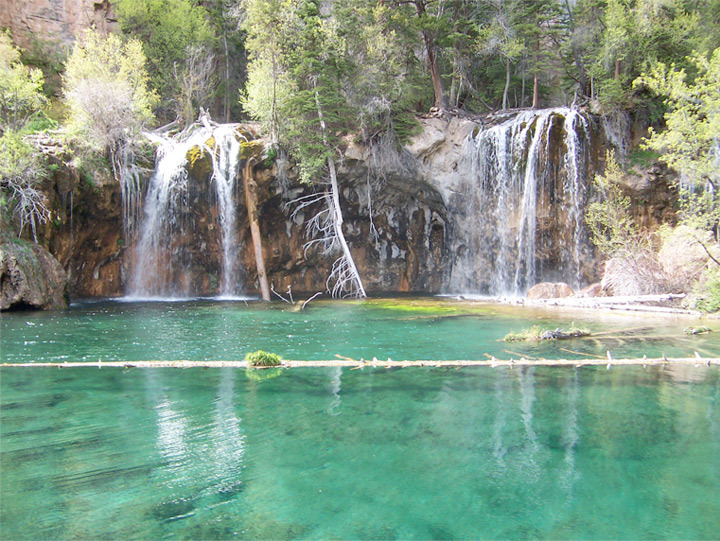 A 1.2 mile hike from a parking lot into the mountains opens onto something that absolutely should not be in the middle of the mountains – a collection of dozens of waterfalls that collect in a pool the color of the Caribbean. It looks like something out of a sci-fi movie; it just shouldn’t be there. If you happen to be in Vail for some mountain biking and high-end shopping, take a couple hours to check it out. Did you know there’s a time zone east of Eastern time? I didn’t, until I had a job in June that took me to New Brunswick for the first time. (Side note: anyone have any idea where Old Brunswick is? Me either.) 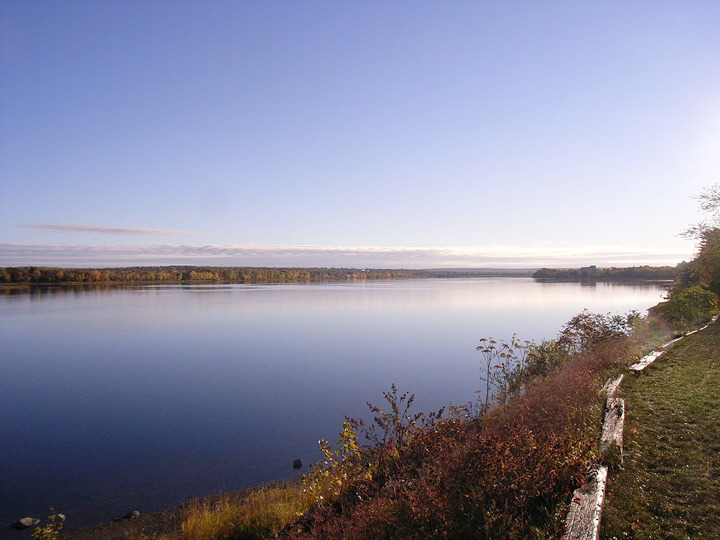 The town of 50,000 has more resident artists than any other in the province, and I saw a moose on my way into town. I think I’ve said all I need to. Plus it’s 3 hours from Prince Edward Island, home of Anne of Green Gables, which happens to be my wife’s favorite series of books. So I’m pretty sure I’ll be going back. I hope that helps you have an even more wonderful fall than you were already going to. There are hundreds of beautiful places to go and see, and I’m certain than some of them are within your grasp. So go grasp them!